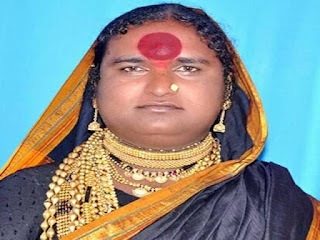 PUNE: A transgender elected as a Sarpanch of village Tarangfal in Malshiras tehsil of Solapur district on Bhartiya Janata Party ticket. She would be the first transgender who got elected as Sarpanch in the state gram panchayat election. In second phase of grampanchayt elections at least 4000 grampanchayats voted for the candidates on 16th of October. Giving details of election, newly elected transgender candidate Dnyaneshwar alias Mauli Shankar Kamble (35) said, “I got 854 votes out of 2000 votes and won this election. I defeated candidate Jaysing Salve of Rashtrawadi Congress Party. although I am a illiterate person, all villagers took efforts for me and voted for me. I was never been in politics before. This is the first time I stood for election of Sarpanch post and villagers elected me. I belong to Hindu Mang caste."